Brett commenced with Ipswich City Council in June 2002 as a student planner whilst completing his university qualifications. In February 2011, Brett was appointed to the position of Team Coordinator (West) and promoted to the position of Development Planning Manager in July 2017. Brett is an example of someone who has been able to utilise the knowledge and experience he has gathered through years of moving through the various levels within the Planning and Development Department to achieve a wonderful career in town planning. 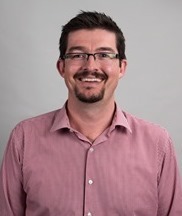 Brett is a member of the Planning Institute of Australia and has qualifications including Bachelor’s Degree in Built Environment (Majoring in Urban and Regional Planning) and a Graduate Diploma in Urban and Regional Planning, both from QUT. Brett has an outcomes focus, and has an interest in continuous improvement and staff growth. On a personal note, Brett has two young daughters and is a proud Ipswichian. He plays hockey, enjoys fishing and cooking, and is infamous around the office for his array of terrible dad jokes. Brett is currently the Acting City Planner whilst John Adams oversees the preparation of Council’s new planning scheme. John Adams was appointed as the City Planner for Ipswich City Council in 2008. John is currently overseeing the preparation of Council’s new planning scheme and Brett Davey is acting in the role of City Planner. 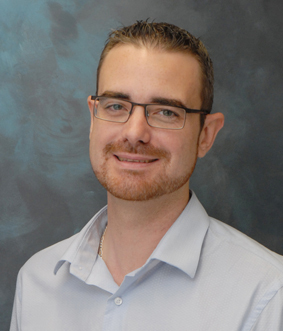 Anthony Bowles began with Ipswich City Council as a Senior Development Planner in the middle of 2016 with the Planning and Development West Team, having moved to Ipswich a year prior. 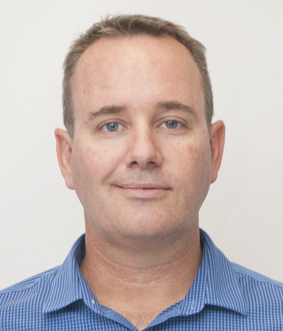 Previously, Anthony worked in various planning roles within Brisbane City Council starting in 2007. Anthony has experience in both Strategic Planning and Development Assessment functions of local Government. At Brisbane City Council, Anthony was involved in plan making and drafting Temporary Local Planning Instruments as a strategic planner and assessment of high-rise and mixed use development in the Fortitude Valley and Newstead as a development assessment planner. 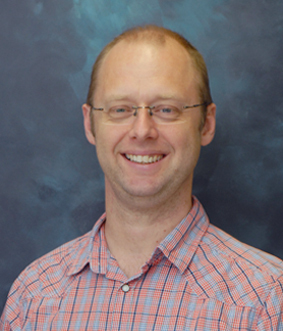 Anthony holds a Bachelor of Environmental Planning from Griffith University. In his down time, Anthony enjoys live music, travel and reading. Lara Minion is a Senior Development Planner in the Development Planning Branch of the Planning and Development Department. She commenced her career with Ipswich City Council in 2009. Lara Minion was born in England and completed her planning qualifications in the UK. She holds a Masters in Town and Country Planning from the University of Manchester, England and is a Chartered Member of the Royal Town Planning Institute. Lara commenced her career in England, working in private practice for 6 years before making the move to Australia with her husband. In her personal time Lara enjoys travel and camping with her husband and two children, with a particular interest in exploring the beauty of SEQ. Lara and her family are proud Australian citizens and are enjoying Australian life. Madeline Ferguson works in Planning and Development as a Technical Support Officer. Maddy started with Ipswich City Council in 2009 as an I.T Trainee and from there she has worked in the Customer all Centre as well as the Rates/Property team. Maddy’s favourite thing about working in Planning and Development is the culture. Everyone is so friendly, intelligent and helpful, there is never a dull moment! Her favourite place in Ipswich is White Rock, the sunset from the top is pretty hard to beat. Maddy was born and raised in Ipswich, attended school at St Mary’s and studied hairdressing and photography. She lives locally with her fiancé, three daughters aged 7, 4 & 2 and two fur babies - a staffy x and Cattle Dog. In her spare time she enjoys 4wding, camping and most importantly being at the beach. 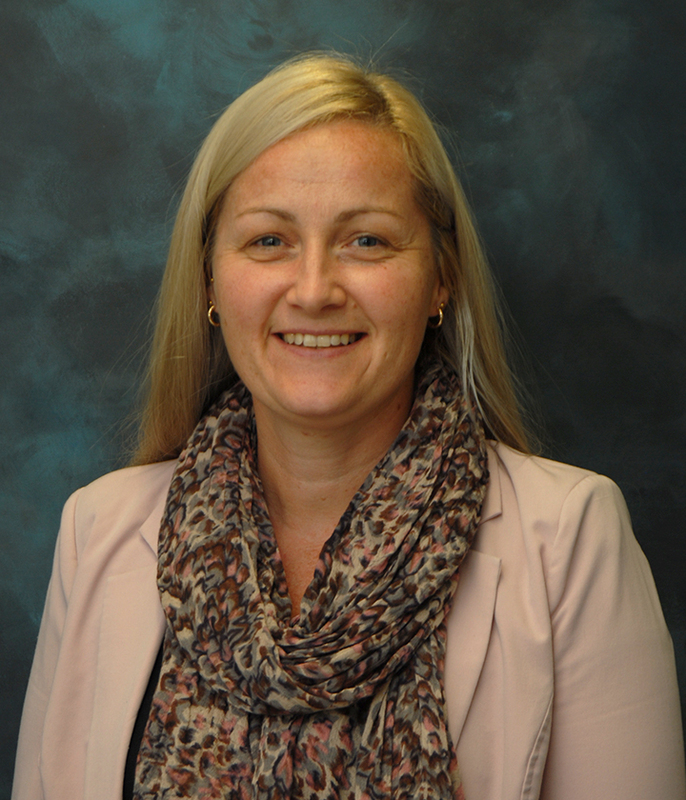 Vanessa Hicks started with Ipswich City Council on 7 March 2017 as Team Coordinator (Building) in the Building and Plumbing Branch. Vanessa has joined the ICC team with over 10 years’ experience in building certification and building and development compliance. She has worked in Local Government since 2007 in a variety of building and development roles and most recently worked with Toowoomba Regional Council where she started her cadetship in 2008 and was promoted through to Senior Building Surveyor. Vanessa completed an Associate Degree in Building Surveying through the University of Central Queensland and is licensed as a level 2 Building Surveyor with the Queensland Building and Construction Commission. Vanessa’s other qualifications include a Bachelor of Business. Vanessa through her passion for building and development recognised a lack of female representation in the Building Certification industry and identified a niche in which she could fulfil her inspirations and deliver professional service. Her balance of full-time study, raising three daughters and full-time work is testament to her commitment; for whatever you put in you gain, networking, being real, attention to detail, talking the talk and a smile can make a difference. In her spare time, Vanessa enjoys being with family, renovating, obstacle course racing, and spending time near the salt water; her home away from home being Vanuatu. Being an Ipswich girl born and raised, she is excited to be working back home near family and looks forward to the challenges ahead. Sean Dickson is a Senior Planner in the Development Planning Branch of the Planning and Development Department. Sean is a fully qualified carpenter and worked for a number of years in the building industry working primarily in residential construction. Sean started as a Development Planner in 2005 and was promoted to the Senior Development Planner role in 2010. Sean is happily married to Rose and has three sons. Outside of work, Sean enjoys spending time renovating his home and cycling. Garath Wilson started with Ipswich City Council in January 2016 as a Senior Development Planner in the Development Planning Branch. Garath has joined the East Team with over 10 years of combined statutory, plan making and project management experience in a range of major planning and infrastructure projects. 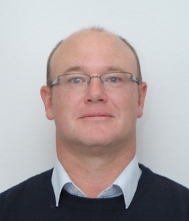 He has worked in Local Government since 2006 in a variety of land use and advisory planning roles and most recently worked with the Lockyer Valley Regional Council where he led the Strategic Planning team in the development of the Lockyer Valley Planning Scheme. Garath studied at Griffith University where he was awarded a Bachelor of Urban and Environmental Planning (Hons) and Bachelor of Science (Environment) in which he majored in Environmental Management and Policy. Garath’s honours project reflected his passion for technology and innovation with a keen interest in its contemporary uses in planning as well as how it may impact on our cities and community into the future. It is the variety of planning roles which has given him experience in and shaped his professional interests in Regional and Rural Planning, Master planning and Urban design. Outside of work, Garath enjoys playing tennis, motorsport, scuba diving and the odd road trip with his wife Leah and their two dogs. After a six month secondment as Principal Planner (Development), Garath joined the ICC Strategic Planning Branch in January 2017. Lyndon McDonald is the newest member to join the Building and Plumbing Branch as a Plumbing Inspector. He was Born in Narrandera, NSW. Lyndon completed his plumbing trade with the Australian Defence Force (ARMY) in 2001 was discharged from the regular Army in 2011. He deployed twice to Afghanistan in 2007/2008 and then again in 2009/2010 as a plumber tasked with reconstruction within the Oruzgan Province. Lyndon has 3 (Three) Children - Lucy 11, Charlie 10 and Oliver 6. He is a keen golfer, having won his first club championship at the age of 14 and twice representing the Army. Matthew Smith is the Team Coordinator for the Plumbing Team within the Building and Plumbing Branch. Matthew commenced work as a plumbing inspector with Ipswich City Council in January 2004. He has recently returned to ICC following 5 years at Lockyer Valley Regional Council as Plumbing Coordinator so he can work closer to his home and family at Yamanto. Matt grew up in Ipswich, completed senior at St Edmunds College and went on to become a licensed plumber with Cuthbert's Plumbing in Ipswich. Matt has completed further studies in the plumbing trade and enjoys the challenges of applying this knowledge in the field whilst assessing plumbing work throughout the city. Matt's interests include camping and caravanning with his wife Kelly and his three young daughters and he enjoys getting out in his boat, chasing fish around South East Queensland whenever possible. Sandeep Nanjappa is a Senior Development Planner in the Development Planning Branch of the Planning and Development Department. Sandeep started as a Development Planner in 2007 and was promoted to the Senior Development Planner role in 2010. 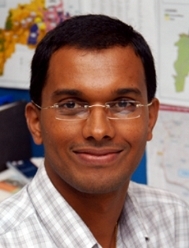 Prior to working with Ipswich City Council, Sandeep was employed at Brisbane City Council from 2005 until early 2007. 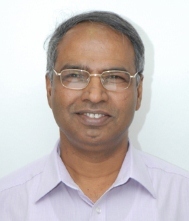 He holds a Masters degree in Urban and Regional Planning from QUT, a Diploma in Civil Engineering and a Bachelor Degree in Architecture obtained in India. Sandeep is particularly passionate about urban design and architecture. Born to a farming family in India, Sandeep arrived in Australia in 2004 as a student. Sandeep loved the lifestyle, experience and opportunities and decided to settle in Australia. Sandeep is a proud Australian since 26 January 2011. Sandeep enjoys cooking and prepares Indian dishes for his colleagues in exchange for enlightening him on Australian slang and jokes. However, according to his colleagues, mastering the 'lingo' could take many afternoon and morning teas !!!! Philip is a Senior Development Engineer in the Engineering and Environment Branch of the Planning and Development Department. 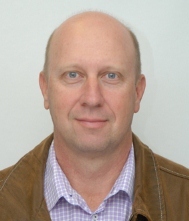 Prior to joining Ipswich City Council in 2014, he had 18 years’ experience in construction, engineering consultancy and local government, most recently with Gladstone Regional Council as Operational Works Coordinator. Originally born in China, Philip finished his university degree in Shanghai and moved to the United Arab Emirates in pursuit of a professional career. He was employed successively by top ENR ranked international engineering firms such as CCECC and Khatib & Alami and had roles in several major projects including iconic Abu Dhabi Corniche Development. Philip migrated to Australia in 2006 soon after he met his future wife and married in the Philippines. He continued the professional development by working as a civil engineer around the country and became a Chartered Professional Engineer and RPEQ in 2013. He was Queensland’s first eChartered Engineer and featured for that in Edition 1 - 2013 of Engineering Queensland News. Philip is a keen swimmer. At home, he enjoys reading history books, juggling three kids of a young age and cooking Chinese stir-fries. Brad Guest was raised as a first generation Ipswichian, with parental heritage stemming from New Farm in Brisbane, and has been residing at Karalee with his wife Julie for over 25 years. Brad attended East Ipswich Primary School and Bundamba High. Brad is a fully qualified Plumber / Drainer and Gas Fitter with many years of experience in a varied mix of domestic and commercial work. His previous experience includes working as a plumber CDW at Amberley Air Base, Fixit and Cuthberts Plumbing followed by working as a supervisor for a construction company. Brad commenced work as a Plumbing Inspector for Ipswich City Council in 2007 and became a Senior Plumbing Inspector in 2013. Brad's interests vary from overseas holidays, raising and training his Ridgeback dogs and competing in many cycling events of both road and mountain nature. While previous interests include golf and jet skiing, Brad also has a little bit of a gourmet streak with a passion for foods. Peter Clifton was born in Zimbabwe and completed his qualifications in South Africa and, depending on who is winning the cricket or rugby on any given day, is Zimbabwean, South African or Australian. 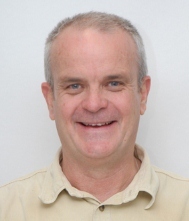 Peter spent the early years of his career in South Africa working for the South African Defence Force and local government as an Environmental Health Officer. In 2001, Peter and his wife moved to start a new life in Australia. 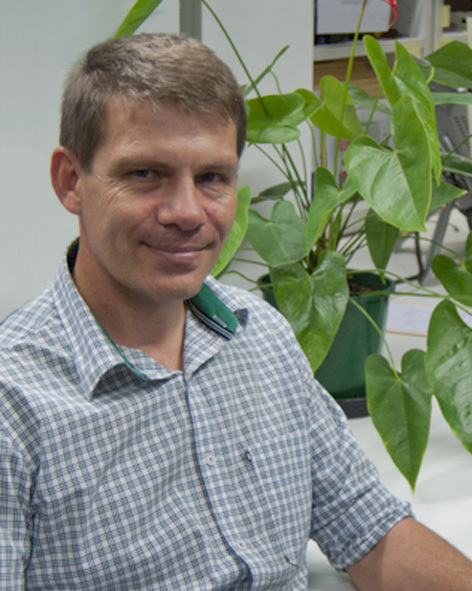 Peter worked for Brisbane City Council as an Environmental Health Officer and later as an Environmental Planner. In 2009, after many years with Brisbane City Council, Peter made the move to Ipswich City Council and hasn't looked back. 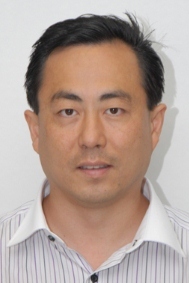 He currently holds the position of Senior Planner (Environment) within the Environmental Planning Team. Peter can be described as a 'cycling enthusiast'. When not on the bike, you will likely find Peter spending time with his family and friends. Garth Moore started his career in planning in Redlands with Gary White in 1984. Since that auspicious introduction to planning Garth spent two and a half years in Brisbane City Council. He then had a stint at private practice in Noosa and in 1989 joined Ipswich City Council with Graham Blowers and John Adams. There began a long and fruitful relationship producing a broad spectrum of innovative and award winning planning projects. After a relatively short time away, Garth has come back to the ICC family. During 28 years of practice as a professional planner, both as a consultant planner in the private sector and town planner with local government, he has been involved in a vast array of development applications. These have ranged in complexity from relatively straight forward reconfigurations to highly complex application for shopping centres and tourism resorts. a dedicated commitment to and passion to deliver robust and responsive planning documents that are easy to use and understand, are compliant with existing and evolving planning legislation and are a planning tool that Ipswich City Council and our team can be proud of. Garth has a BSc in Australian Environmental Studies, a Grad Dip in Urban and Regional Planning and Grad Dip in Urban Design. He is a corporate member of PIA and was inducted as a Fellow of PIA in 2011. Garth has had the pleasure with his wife Libby to have raised his family of two girls (Christine and Tess) and have resided in the Ipswich area for over 24 years. He says that he has an intimate knowledge, respect and love of this great City. 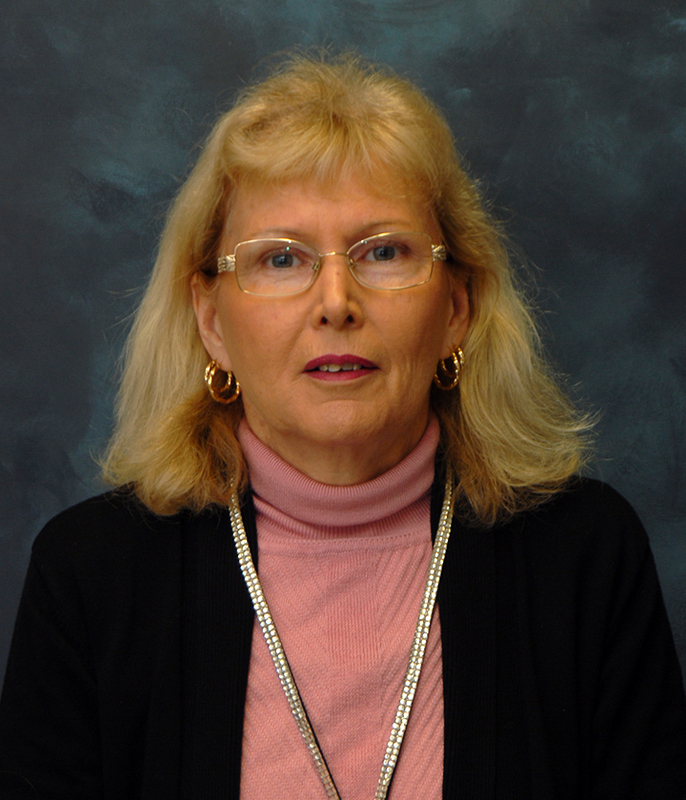 Jane Kilgour is the Team Coordinator (Environment) in the Engineering and Environment Branch. 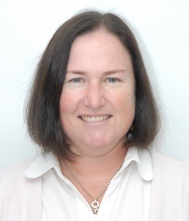 After completing her Bachelor of Science (Environment) at Griffith University Jane worked for over 5 years in the private industry for mining companies before commencing her 15 year and counting career in local government. Jane commenced her appointment with Ipswich in 2004 as Senior Environmental Planner when Ipswich was experiencing a major development boom and was the first environment officer within the department. An additional environmental planner was soon added to the department and over the next few years these environment officers worked on development applications, legislative changes and planning studies generally raising the profile of environment issues within planning. 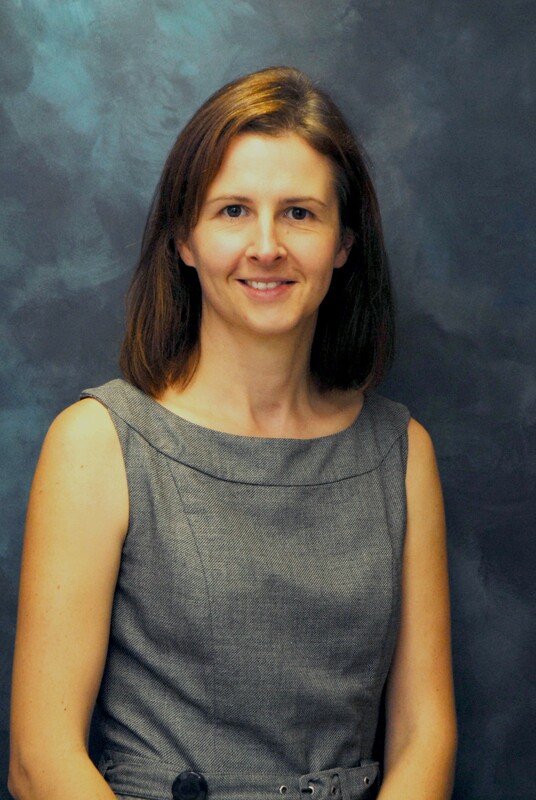 Following her appointment to Team Coordinator in 2008 Jane has been involved in the selection and training of team members resulting in a dynamic team of 5 environmental professionals whose central motivation remains planning for the environment. Jane has enjoyed the challenge of expanding her professional knowledge in environmental health but planning for the environment remains her central motivation. Jane enjoys camping on Fraser Island and spending time with her family and friends drinking champagne. Greg Brown is a Plumbing Inspector in the Building and Plumbing Branch. Greg started with the Ipswich City Council in January 2004. He was born in Miles and grew up west of Ipswich. Greg started his plumbing apprenticeship at 14 years of age at a local Rosewood business. He also ran his own plumbing business for 15 years and spent 10 years working as an underground coalminer in Swanbank and Middlemount. Greg has been happily married for 31 years, has three sons, one daughter-in-law and one grandchild. His middle son now also works as a plumber in the Ipswich region, his eldest is an electrician and the youngest is a mechanical engineer working in Condamine on a coal seam gas compressor station. On a personal note Greg enjoys spending time with his family, woodworking, water sports, golf and many other outdoor activities. Mitch Grant is a proud Ipswichian with a long family history in Ipswich stretching over five generations. His ancestors have been involved in farming, building, cabinet making, railways and various other professions in the Ipswich region stretching over many years. Having been born, grown up and still living in Ipswich surrounded by most of his extended family, Mitch is incredibly proud of the place he will always think of as ‘home’. Following his secondary schooling at Ipswich Boys Grammar, Mitch decided to study town planning to further his interests in architecture, construction, the natural environment, sustainability and placemaking. 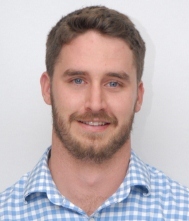 After obtaining a Bachelor of Regional and Town Planning with honours from the University of Queensland, Mitch went on to join the team at Council as an Assistant Development Planner in 2007. Over the years at Council Mitch has been involved in a diverse range of projects in a number of teams, and now holds the position of Team Coordinator (Development) within the Central Team, where he is involved in the assessment of development applications in the CBD and central suburbs of Ipswich. He is a passionate person who is always keen to work collaboratively towards achieving high quality, balanced development outcomes. Mitch and his wife both work at Council, and are the proud parents of two young girls. In his personal time, Mitch enjoys spending time with his family, exploring natural and scenic places, travelling, mountain biking and getting to the beach for a fish or surf. Michael Simmons joined Council in 2006 as a part time student planner. Following a stint with Council, Michael took up a full time role with a Brisbane based planning consultancy, during which time he was not only employed as a planning consultant but was also seconded to Brisbane City Council where he worked as a development planner. Michael returned to Ipswich City Council in 2008 where, after a short period, he was promoted to the position of Senior Development Planner. Michael was appointed to the position of Principal Planner (Development) in 2015 followed by the position of Team Coordinator (Development) in 2017. 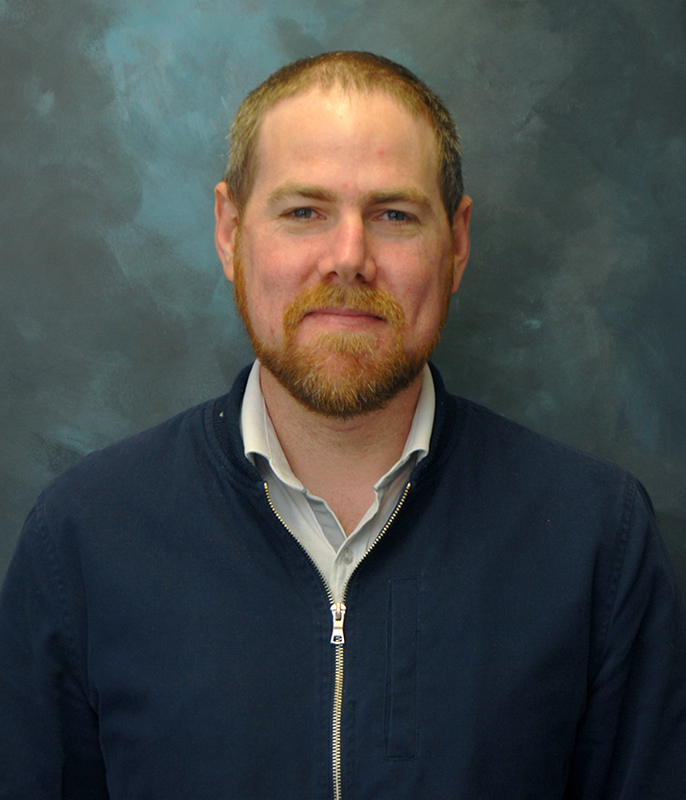 In his current role, Michael heads up the Western Geographical Development Assessment Team where he is a valued member of the Development Planning Branch’s leadership team. During his time at Ipswich City Council, Michael has also gained State government experience working with the Department of State Development Infrastructure and Planning where he was seconded at assist with the rollout of the State Assessment and Referral Agency (SARA). Michael is a passionate planning and development professional who has a keen interest in project management, land use planning and fostering good development outcomes. Michael's qualifications include a Bachelor of Built Environment (Urban and Regional Planning) as well as a Diploma in Advanced Management. On a personal note, Michael is a proud born and raised Ipswich resident. When he is not busy restoring his character house he enjoys fishing and spending time with family and friends. Linwood Rae is the Senior Mapping and Graphics Officer (Technical Systems Support) in the Strategic Planning Branch. Born and raised in Ipswich, Linwood is a 4th generation Ipswichian from Scottish, Irish, English and German ancestry. At a very young age, Linwood showed a promising aptitude for art, which he is continuing to develop. Linwood was first employed by Council in January 1981 as an apprentice Signwriter. After completing his apprenticeship, he commenced a part time course in Graphic Design at the then Queensland College of Art (QCA) graduating after 7 years with a Bachelor of Graphic Design. Within Council, he soon developed a reputation as a skilled visual communicator, working on numerous and varied projects of Council over the 11 years spent in the Council Sign Shop at the then Thorn Street Depot. In 1992, Linwood joined the Planning and Development Department as a Graphic Designer in the Planning Branch, continuing to assist in the visual communication requirements of his Branch, Department and Council as a whole. A shy retiring man, Linwood likes to spend his spare time with while sampling some of Australia's best red wines and single malt whiskeys, listening to classical music, motorcycle and classic car restoration, cooking and consuming spicy food, portraiture painting and gardening including caring for his small collection of bonsai and topiary hedges. A 4th generation Ipswichian on her mother's side of the family, Tanya has a strong interest and connection with Ipswich and its history. Being the child of a RAAF father, she was born in Malaysia and spent her schooling years at Penrith and Toowoomba before finally settling in Ipswich in 1973. Tanya started work at the Council in 1983 and spent the first 13 years working at the Ipswich Library as the Secretary to the Library Manager. It was while working at the Library that she developed her interest in local and family history which has led to her career choice today. In 1996, Tanya joined the Strategic Planning Branch as the Cultural Heritage Officer where she was able to apply her research skills to answer a diverse range of inquiries about the history of Ipswich and its early settlers. Aaron Katt was born and raised in Ipswich and has lived in the district his entire life. Aaron commenced with Ipswich City Council in 1985 as a Civil Designer. In 2003, Aaron transferred to the Planning and Development Department where he progressed through the ranks from Technical Officer (Engineering) through to his current role as a Principal Engineering Officer. Aaron is happily married to Megan, his wife of 20 years and is very fortunate to have three daughters. Aaron enjoys playing and watching cricket, music, travelling and getting together with family and friends. Adrian Bulley has recently been promoted to the role of Principal Engineering Officer in the Engineering and Environment Branch of the Planning and Development Department. As you may have noticed from his strong South African accent, Adrian moved to Australia in 2005. Shortly after arriving in Australia, Adrian commenced with Council and was initially based at our Springfield Office. Adrian is now based at the Ipswich Office after being promoted to the role of Principal Engineering Officer. Adrian is married and has three children: Luke (20); Kate (17) and Peter (12). Adrian's interests include fly fishing, gardening and photography. 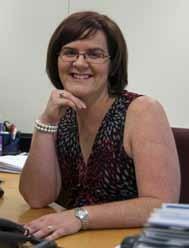 Dannielle Owen commenced with Ipswich City Council in October 2000 as a Strategic Planning Officer. For the last 4 years Dannielle has held the position of Team Coordinator (Strategic Planning). 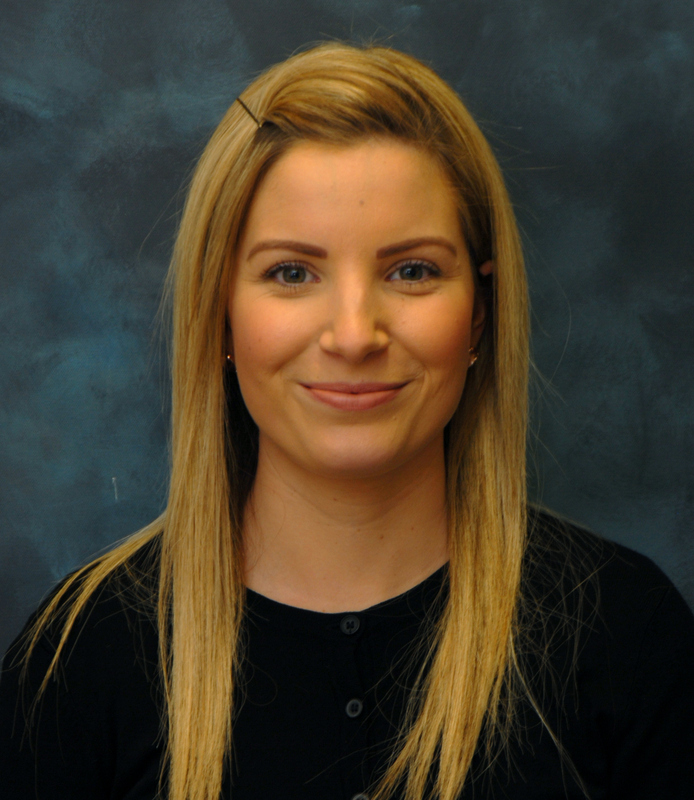 In her role, Dannielle enjoys managing the Strategic Planning Team in the Strategic Planning Branch which undertakes statutory planning scheme reviews and amendments and prepares planning policy. The team also undertakes reviews of Federal and State government planning policy and guidance documents. Prior to working with Ipswich City Council, Dannielle was employed at Brisbane and Logan City Councils and in private consultancy. Dannielle has a passion for Ipswich having spent her high school years at Ipswich Girls' Grammar School and currently resides in the Ipswich community with her family. 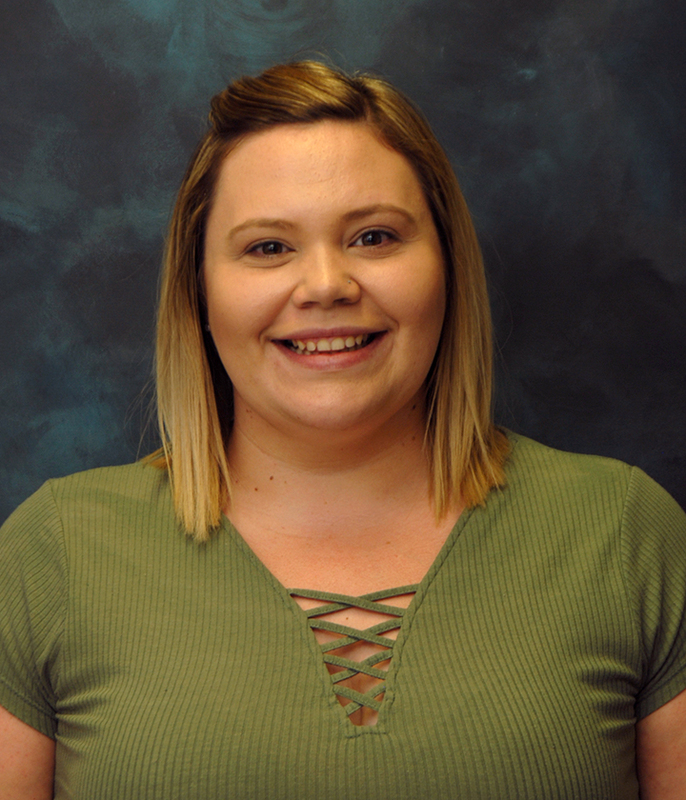 Dannielle believes the 'glass is always half full' and enjoys spending time at the beach and with her friends and family. 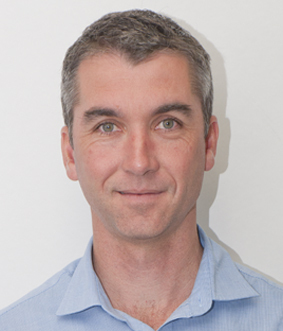 In November 2009, Danny Keenan joined the Ipswich City Council's Strategic Planning Branch as Centres Strategy Officer. Over the past 15 years, Danny has been a pioneer as an Architect in Local Government development and planning. The majority of that time has been spent at the Brisbane City Council with the occasional sojourn into other local governments and the private sector in Australia and the United States. From 2006 - 2009 Danny led the Brisbane City Centre Master Plan Implementation Team at the Brisbane City Council, having previously worked on the preparation of the nationally recognised master plan. Danny is interested in the behaviour aspects of urban design inspired by William H Whyte and Paco Underhill. As a consequence, he received the most satisfaction from the construction of two small scale urban spaces in the Brisbane CBD: Market Street and Jacobs Ladder in Upper Edward Street, INHABIT a temporary art installation project in small public spaces in the CBD and the relighting with projections of the William Jolly Bridge. 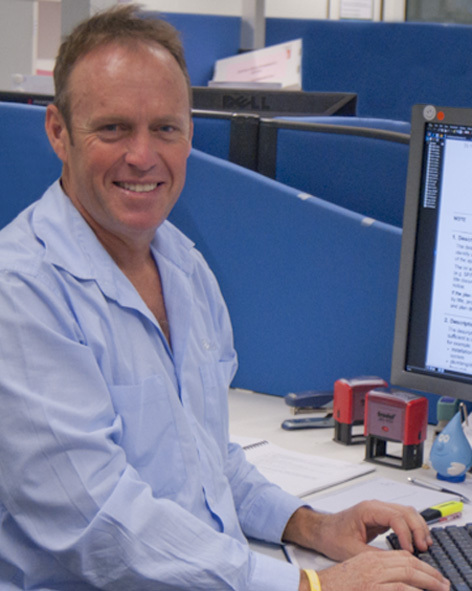 From the mid 1990s, Danny worked on the introduction of demolition and character controls, numerous inner city Development Control Plans and was the Senior Architect in the Central Development Assessment Team from the time when the Urban Renewal process of New Farm and Teneriffe was beginning and major CBD development reignited. Danny is interested in the complex influences - social, political, economic, statutory, design – which compete and align to make cities. Danny lived in Phoenix, Arizona, for a number of years which gave him first hand experience of city development in the US. Phoenix is amongst the fastest growing cities in the US, growing from 850,000 to almost 5 million in 25 years, all because it doesn't snow apparently! During this time, he was a visiting scholar at Arizona State University at both the Architecture and Business Schools, as well as being a Director of a housing development company. Danny is a fifth generation Ipswichian and is relishing the opportunity to be a part of the reshaping of Ipswich at a time of unprecedented growth in the City. Danny has a Bachelor of Design Studies and Bachelor of Architecture (Hons) from the University of Queensland, is a registered Architect and a member of the American Institute of Architects. Julie Hodge commenced the role of Senior Technical Support Officer in August 2018. Prior to commencing in the senior role Julie had operated in the role of Team Coordinator (Technical Support) for over 13 years. Prior to working with Council, Julie was employed as a Team Coordinator within the Planning Branch of Logan City Council for a period of 14 years. Michael Bond joined Ipswich City Council over 6 years ago and heads up our Building and Plumbing Branch. Michael has over 20 years experience in local government with qualifications in engineering, business administration and sustainable development. 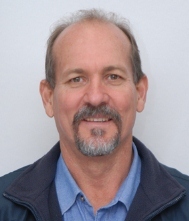 Michael has previously held senior roles at Logan City Council and Beaudesert Shire Council and has extensive experience in building, plumbing, water supply and sewerage construction, waste management, public health, environment and sustainable community development. Nick Vass-Bowen returned to Ipswich City Council in 2008 and was appointed to the position of Strategic Planning Manager in 2010. 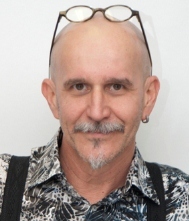 Nick graduated from the University of Queensland with a Bachelor in Regional and Town Planning degree in 1994. 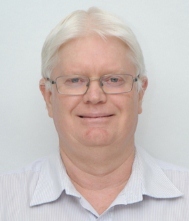 He has subsequently worked in development assessment and forward planning roles in a variety of government and private sector settings in South East Queensland including the Strategic Planning Branch at Ipswich City Council in the late 1990s and in the UK. In the UK, Nick worked at both government and local authority levels in the high growth region of the East of England on plan making and policy reform and the delivery of development to meet the requirements of the national growth points agenda. Nick has extensive experience in strategic land use and local area planning, planning policy, statutory plan making and infrastructure planning. Nicole Yiannou has worked in the Planning and Development Department since 2010 and has recently been appointed to the Business Support Manager role. Nicole's role is to manage the Business Support Branch, business improvements, budget, fees and charges, support the department in relation to business systems and other business support functions of the Planning and Development Department. Nicole studied at the Queensland University of Technology and graduated with a Bachelor of Business (Accountancy) in 2009. Prior to being appointed to the Business Support Manager role, Nicole was the Finance and Business Support Supervisor for almost 8 years. Nicole's interests include listening to music, attending live gigs and shopping. Ravi Raveenthiran was born in Sri Lanka and emigrated to Australia in 1991. In 1998, Ravi joined Council's Engineering Services Department and moved to the Planning and Development Department in January 2008. Ravi is a Principal Development Engineer in the Engineering and Environment Branch and heads up one of the Engineering Planning Teams. Ravi is married and has two children (in their 20s) who are both studying at University. In his free time, Ravi enjoys gardening, travelling and listening to western and classical music. 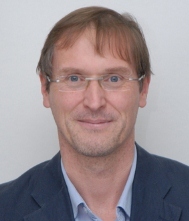 Tim Foote commenced as a development planner with Council in October 2001 and progressed to the position of Team Coordinator (Development) in the Development Planning Branch in April 2005. 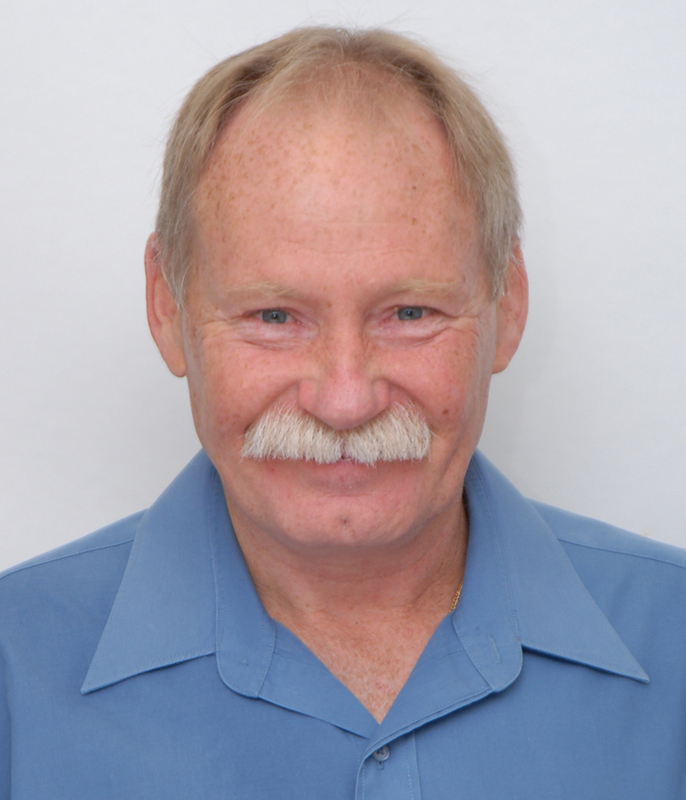 Prior to working with ICC, Tim worked for the former Caboolture Shire Council for approximately 3 years. 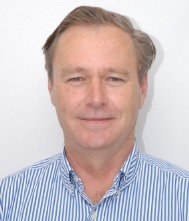 As the Team Coordinator for the East Team, Tim oversees the development assessment for the eastern suburbs including the major projects such the Springfield Central CBD, Carole Park and Redbank Peninsula industrial areas and a range of larger residential estates. Tim's family has a long history associated with businesses and community organisations in the Ipswich area and Tim also attended primary and secondary schools in Ipswich. Tim is married and has two young sons. Outside of work, Tim spends plenty of time working on his farm and his interests include cattle breeding and rugby.